The Organization was established in December 1951 and began its operations in early 1952 as the Intergovernmental Committee for European Migration. 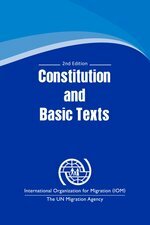 Its Constitution was adopted on 19 October 1953 and came into force on 30 November 1954. Following amendments made to the Constitution on 14 November 1989, the Organization was renamed the International Organization for Migration and, on 21 November 2013, the Executive Committee was abolished. IOM possesses full juridical personality and has its Headquarters in Geneva. 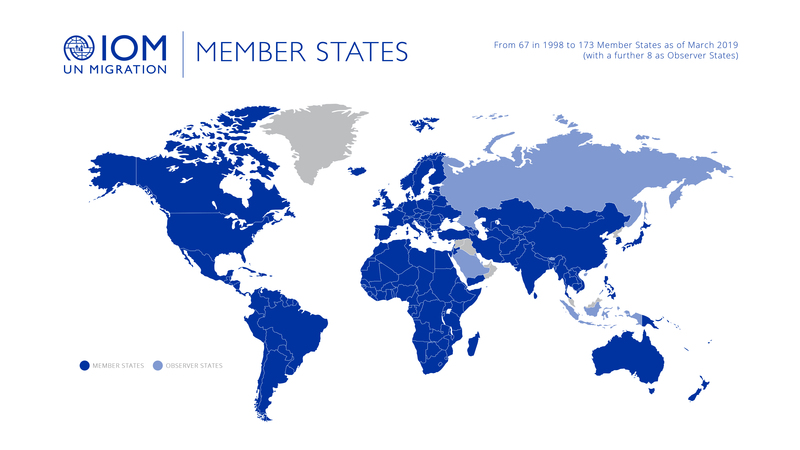 It currently has 173 Member States. The Organization’s organs are the Council and the Administration. The Council, on which each Member State has one representative and one vote, is the highest authority and determines IOM policies. The Standing Committee on Programmes and Finance (SCPF) is a subcommittee of the Council. It is open to the entire membership and normally meets twice a year to examine and review policies, programmes and activities, to discuss administrative, financial and budgetary matters and to consider any matter specifically referred to it by the Council. The Administration, which comprises a Director General, a Deputy Director General and such staff as the Council may determine, is responsible for administering and managing the Organization in accordance with the Constitution and the policies and decisions of the Council and the Standing Committee on Programmes and Finance. The Director General, who is the Organization's highest executive official, and the Deputy Director General are independently elected by the Council for a period of five (5) years.